If you're looking to read about some notable kills performed by the New Order during the week of August 18th @ 00:00 EVEtime through August 24th @ 23:59 EVEtime, then you picked one heckuva good post to read. When Stevie Hixx first came to EVE, he thought it would be fun to help rebels try to interfere with the New Order's ganking operations. But then he discovered the true nature of the miners. Stevie switched sides and joined our war against the bot-aspirants. 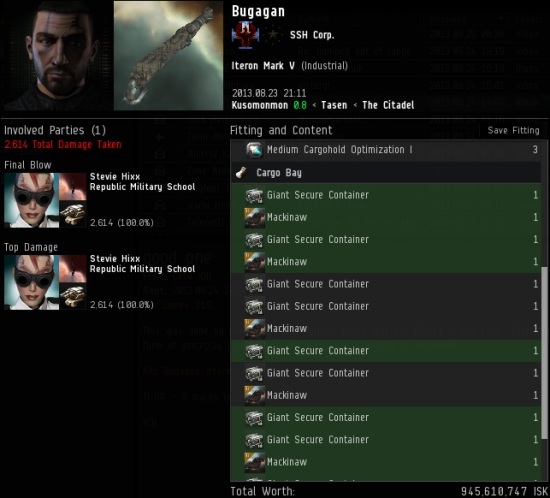 Bugagan lost an Iteron Mark V with no less than five Mackinaws in the cargo. They won't ever see the light of day. Killing bot-aspirants before they're born--that's definitely the way to go! Yes, skeptics often claim that Skiffs are immune from New Order justice. So much for that theory. Cylina Kane found herself on the wrong end of Agent CONCORD Police Commander and went kablooey. I give Cylina credit for one thing, though: Since only Concord is on the killmail, she must have linked her loss in local for all to see. You're a good sport, Cylina--now get yourself a mining permit. So this is the time of the week when we basically talk about how awesome Agent D400 is. 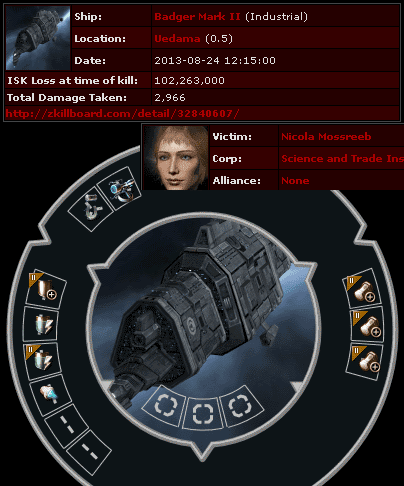 Nicola Mossreeb lost a Badger Mark II worth over 100 million isk. Why was it worth that much? 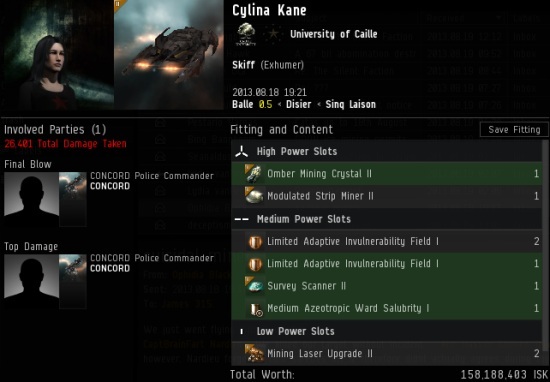 Because a Caldari Freighter skillbook was in the cargo. Agent D400, taking a cue from that Iteron V kill, realized he could spare highsec from another bot-aspirant freighter pilot through the science of abortion. Max Tesla had been using his Tornado to take dishonourable potshots at low security status pilots, including D400 himself. Agent D400 got the drop on him and taught him a valuable lesson. 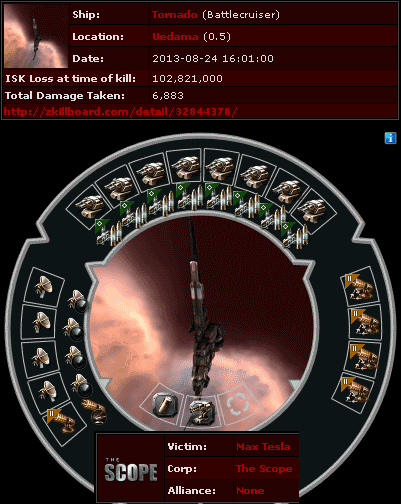 Oh, and Max--ask Stevie Hixx how to put your next Tornado to its proper use. Hey, remember Whitehound? He first came to the New Order's attention several months ago when he lost 1 billion isk worth of illegal mining equipment and then put a 1 billion isk bounty on CODE. alliance. Later, after yelling at our Agents, Whitehound painted a mash-up of my portrait and a portrait of Hitler. 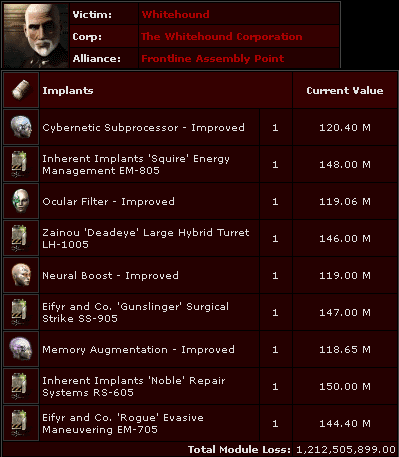 Whitehound has pretty much kept his nose clean since then, but when he went blundering through highsec, totally unrepentant for his past crimes, Agent D400 de-shuttled him and smashed his 1.2 billion isk pod. But as Zoum learned, Agent D400's pod-stomping is never done. 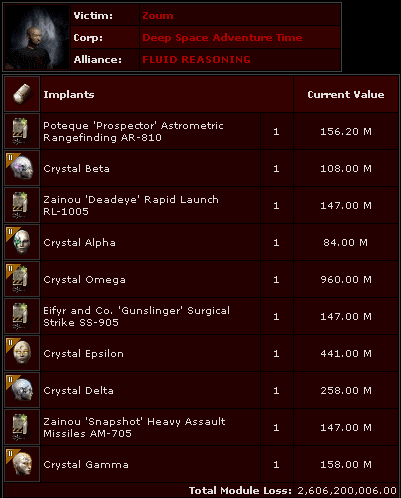 Zoum lost 2.6 billion isk worth of implants while autopiloting in a shuttle. Seriously, people. A New Order permit is good for 365 days and is available at the ludicrously affordable price of 10 million isk. There's no excuse for being an unlicensed industrialist these days. None. Agent CONCORD Police Commander - I love that guy! A Badger with no mining equipment? Unlicensed Industrialists? I guess New Order is expanding the scope of their "operations," or it was a just a slow news day, and James needed to justify publicizing what came across his desk? That's great. You bunch of losers think it's awesome when you gank defenceless freighters and call it "enforcing the code." Childish. Call it what it is guys: Padding your underwear with kleenex. Branden Jensen is shaping up as a tireless tears provider! Branden your defiance makes me hot. Can i poop on you? @Sjonnar: Regular, or caramel? I'm a sucker for the caramel eggs. Anon 11:05 - I guess you're not part of the "New Order." They at least have the decency not to be vulgar in public. As for tears, good luck getting those out of me. Just because I have a sense of right and wrong, doesn't mean I cry every time you knobs rub one out on your victims. jokes on you BJ, i dont wear underwear! swing lowwwwwwwww, sweeet haiiiiryyy nuts. Max Tesla is a world-class douchebag who pollutes The Scope corp channel with his mere presence. Glad to see him get a dose of D400 magic. Wow, just one miner among them and he even blew himself up. Impressive. Competition? Not really. His corp may or may not confiscate more mining equipment than the Order, but it's not like there's going to be less miners exploding lol. See, even they see that this is just a money grab. They're just going with the flow while the flow is still going.